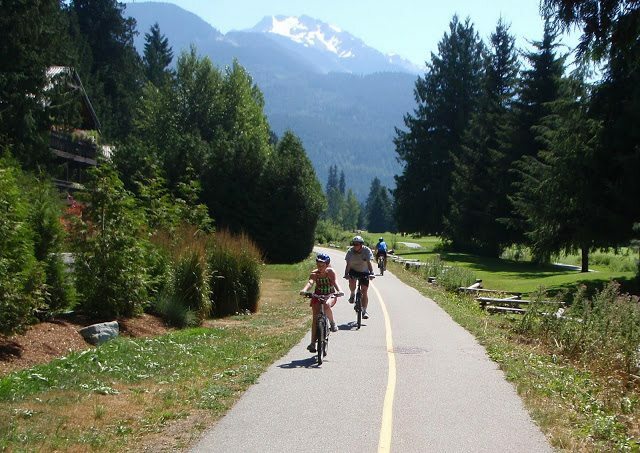 Whistler Valley Trail – Let's Go Biking! Whistler Valley Trail – Let's Go Biking! There’s over 40km of Valley Trail to explore in Whistler. My favourite route visits Lost Lake, Green Lake, and Alta Lake. 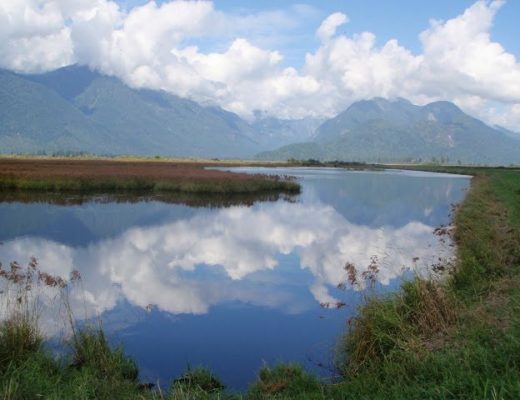 For a Five-Lake tour, add on Nita and Alpha Lakes! The route is great for cyclists, walkers, and runners. There’s art to find along the way – look for giant ravens on the Valley Trail, an old car, and giant chairs in Alta Lake Park. Ride along the shores of Green Lake to through Meadow Park. Look for beavers on the lakeshore. What are the ravens made of? Bicycle Tires! Look for these giant sculptures at the north end of Whistler Golf Course. 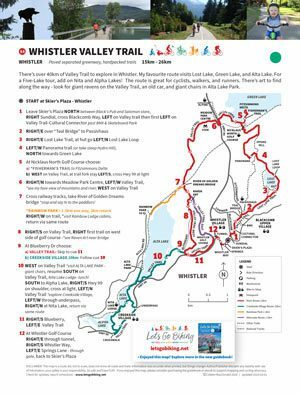 The new Whistler Valley Trail map makes exploring EASY !!! Maps are posted along the route or pick one up at the Village Host kiosks on the Village Stroll or near the Olympic Rings. Whistler’s Hidden Gems Ride: When I take guests on a tour of the Valley Trail this is our route. I hope you enjoy it, too. Head down to Nita Lake and pick up food for a picnic at Alpha Lake Park and discover the Giant Chairs at Alta Lake Park. 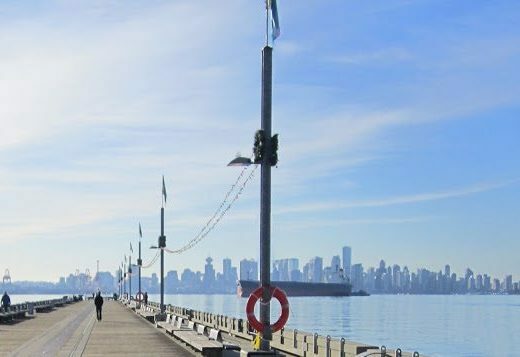 For a multi-modal trip, ride the Sea to Sky Trail down to Function Junction for coffee and return to Whistler by bus! It’s fast and easy. Buses have bike racks with room for two bikes. Here’s a video on how to load your bike onto the rack and a link to the Whistler Bus Schedule.